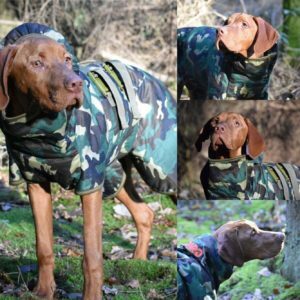 We are very pleased to be supported by Siccaro dog coats and products. 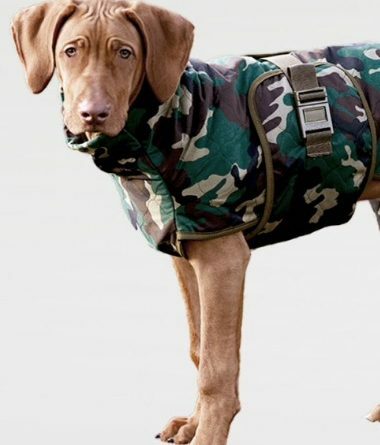 Siccaro produces the most absorbent dog coats available today, removing over 80% of water from your dog in just 15 minutes. 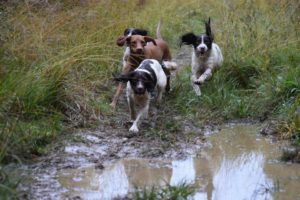 This is hugely important especially to those of us with gundogs. But why? Our dogs are athletes that once they start working their muscles warm up. When they get cold especially after getting wet, they become more susceptible to injuries. This is where the Siccaro coats come in to their own. 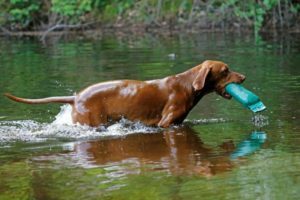 Removing the water allows the dog to dry and keep warm and therefore keep their performance high. 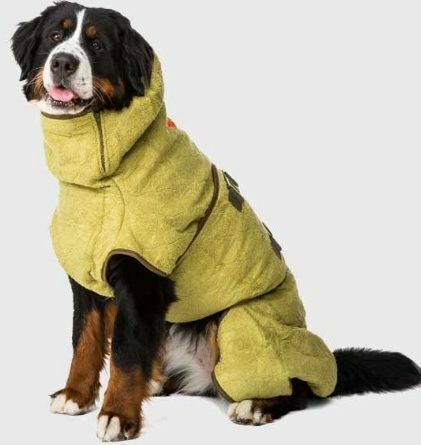 The innovative use of organic bamboo fibre and absorbent viscose gives the WetDog drying robe anti-bacterial properties that help eliminate unpleasant wet dog smell at the same time, making them ideally used in the car or at home after a walk. 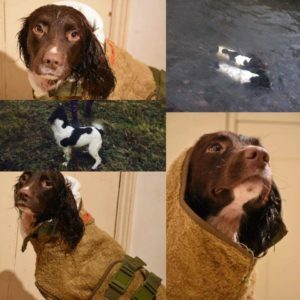 As well as coats, Siccaro also produce absorbent dog beds and gloves to aid in drying your beloved pet quickly. As part of their Christmas offer, you will receive the gloves free when you order a coat and bed. Click on the above link to purchase. 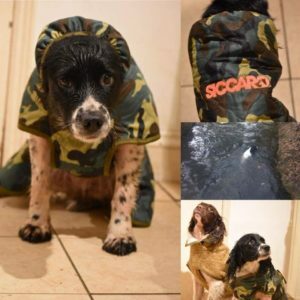 At Cwnsaethu Dog Behaviour and Training we put our dogs through all weathers and we high recommend Siccaro dog coats. We use them after dog walks, training, trialling or just to keep them warm standing picking up before and after the works done. The ordering is really easy through their website and measuring is easy and there are videos on their site to guide you through the process. 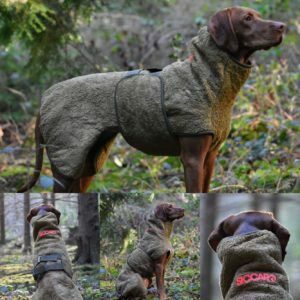 Still not sure which coat, we will have a selection available for you to have a look at and get hands on with. That said, customer service is second to none so any questions you have they will definitely be able to help you.